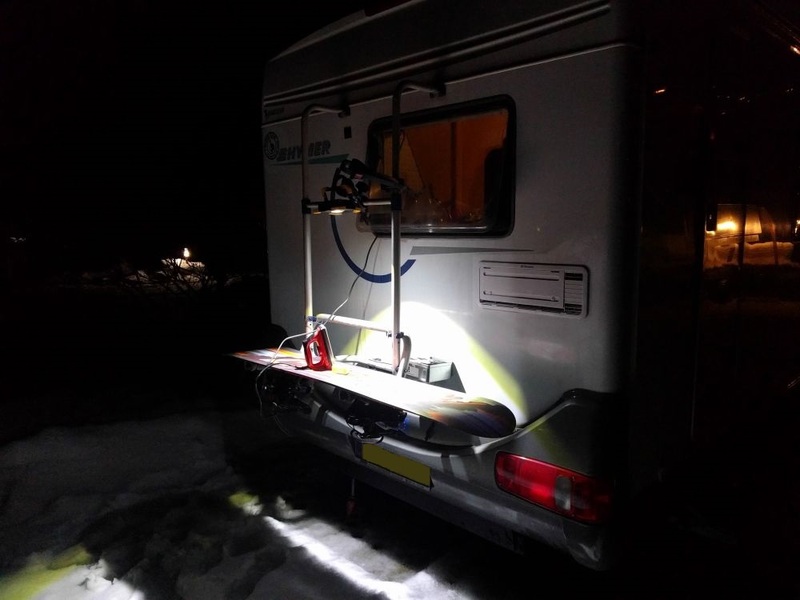 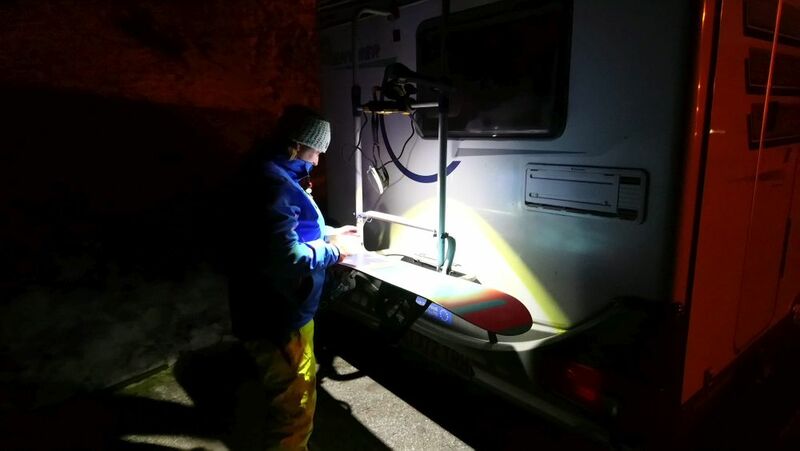 Need somewhere to service your snowboard or skis while away in your motorhome?, wasting space carrying around a workmate just to service your boards? 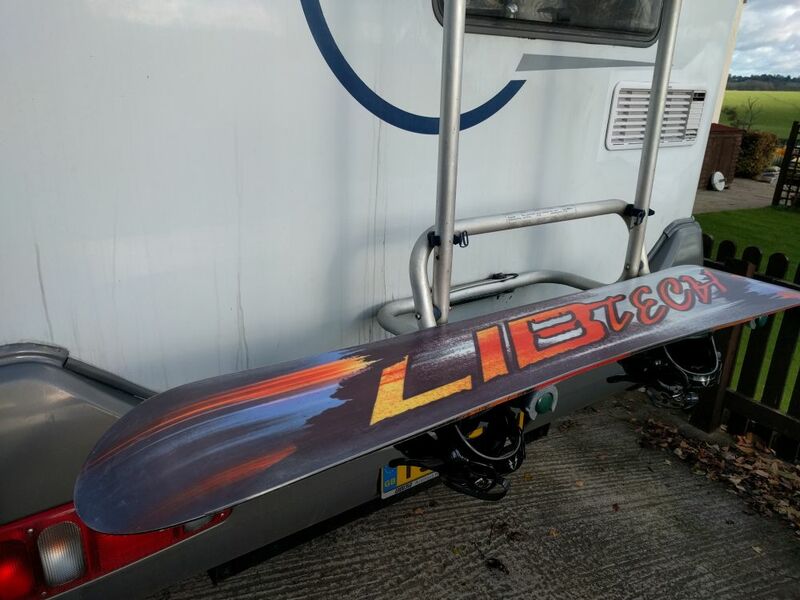 – why not just re-purpose your bike rack into a sturdy and ideal working height service rack? 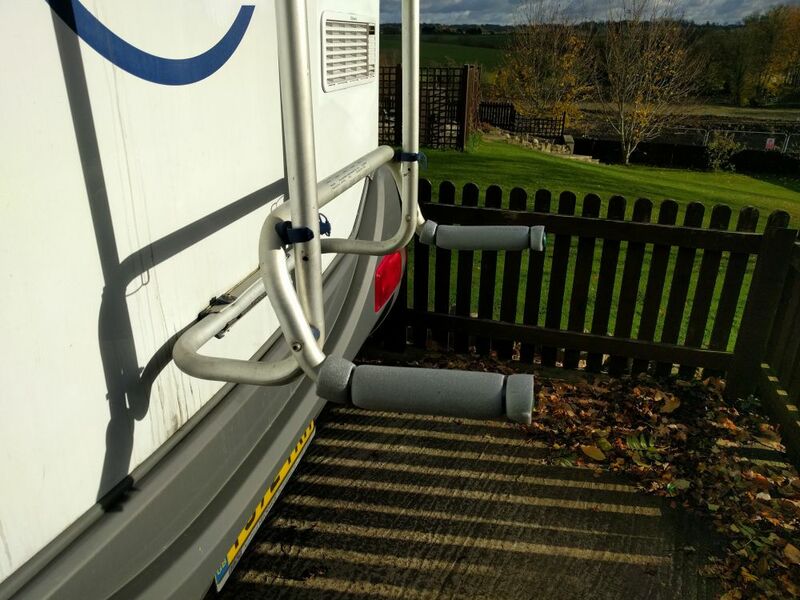 Simply remove the bike rails and add a bit of pipe insulation and presto – quick and easy service rack!